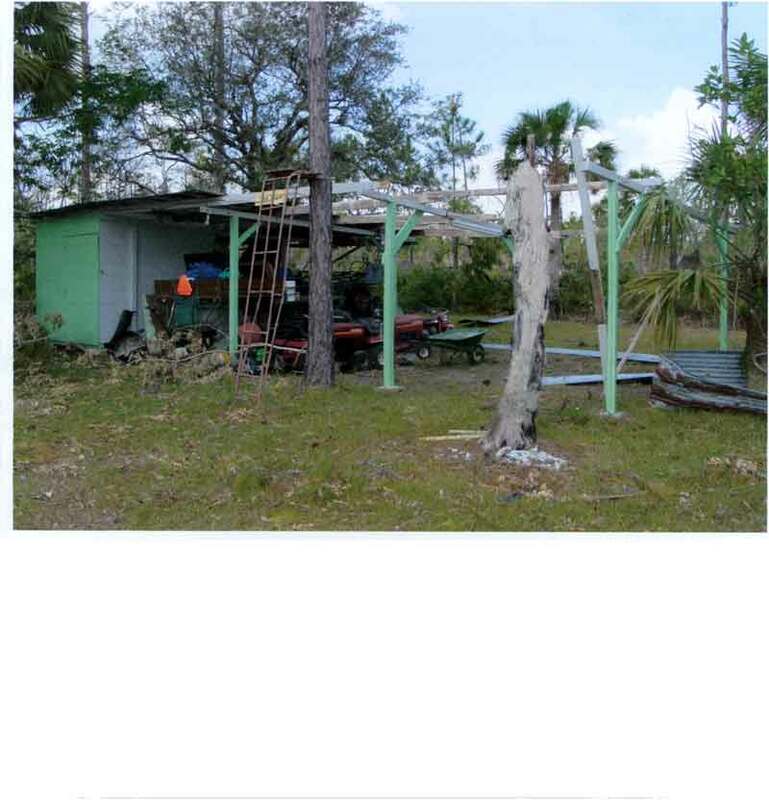 Hurricane Wilma was not very kind to the Big Cypress Swamp and its inhabitants. 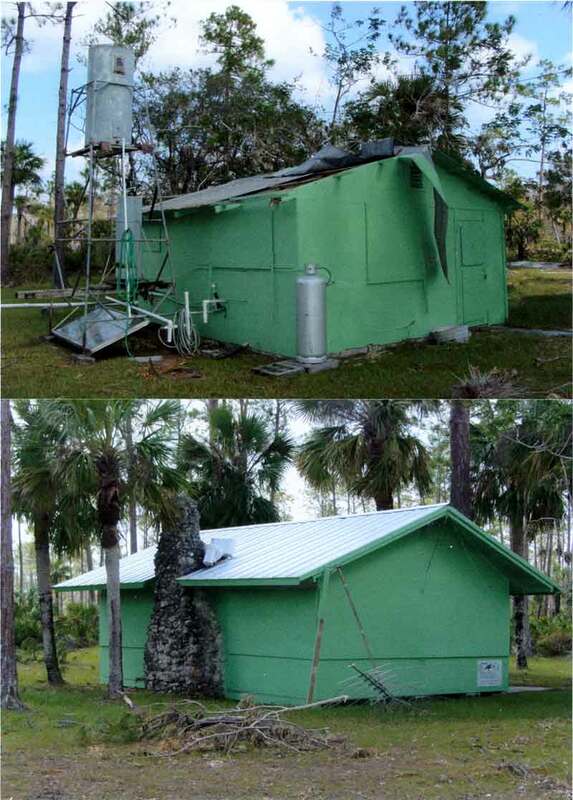 While the natural parts of the swamp had minimal damage, some of the man made structures in the swamp had considerable damage. 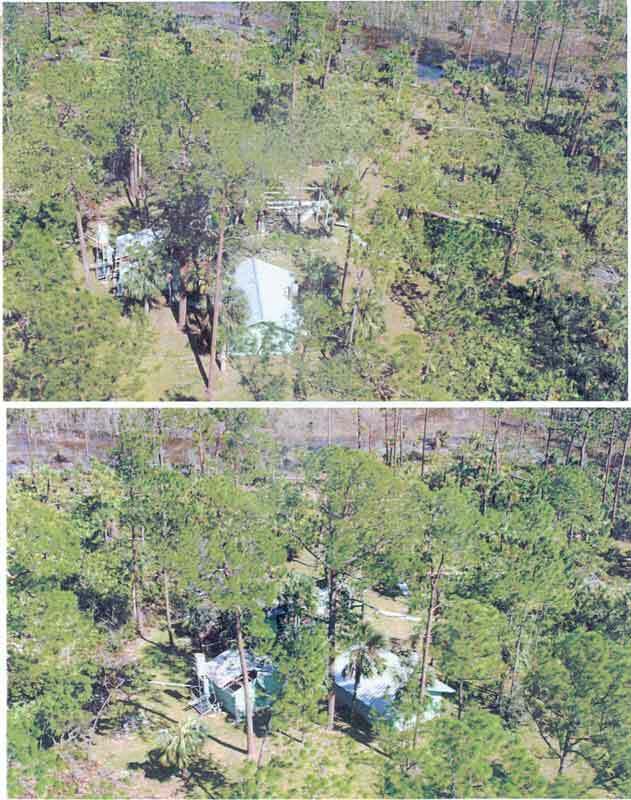 Outback camps in the path of the hurricane sustained damages, some more then others. This lead me to question the NPS on what the NPS view was on the private landowner's (Exempt Property) repair of hurricane damage. The answer in a nut shell, is the NPS expects the private property owner's to follow all state and county ordinances, building/rebuilding included. That may mean getting building permits and the whole process of doing that, if the damage was to the extent that requires a permit. The NPS has assured me that they will not look the other way, they will report construction/repair to the appropriate county building department. 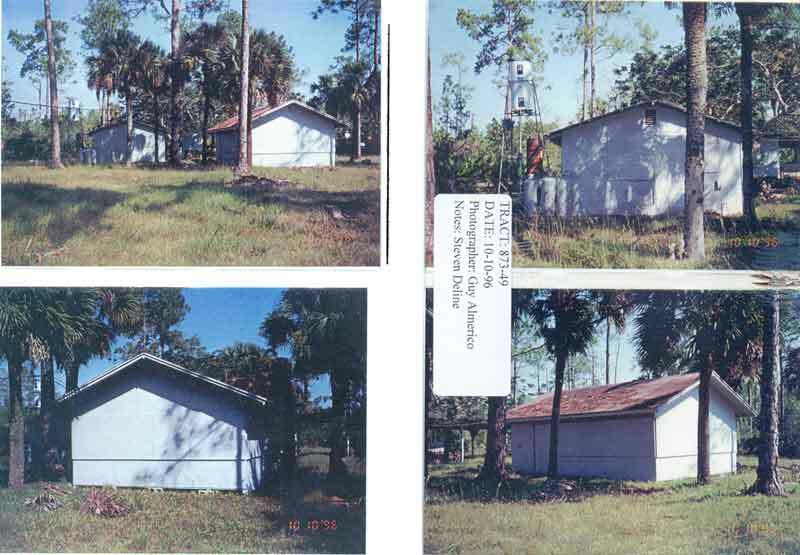 For those Exempt Property Owners that don't know, The original law that created the Big Cypress National Preserve, (Public Law 93-440) has a requirement that Exempt Property Owners must follow all state and county ordinances or the exemption can be revoked. 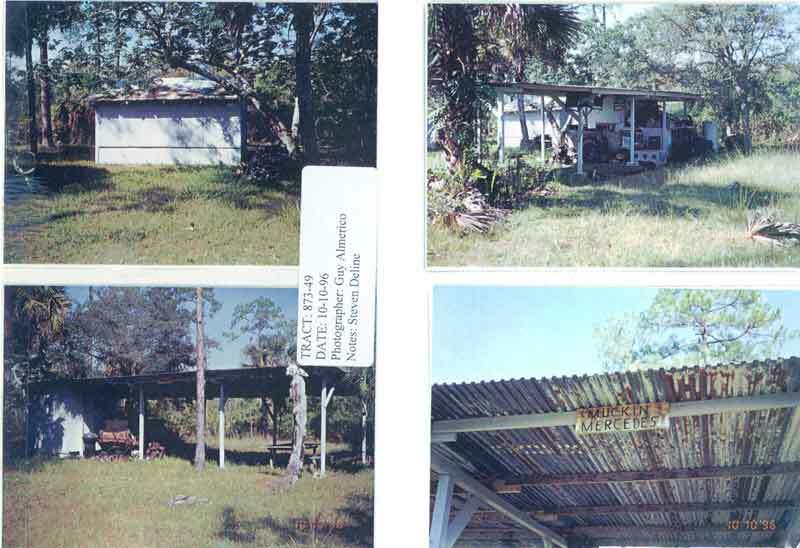 Not getting a required building permit, or not trying to get a required building permit, may be considered breaking a county ordinance. 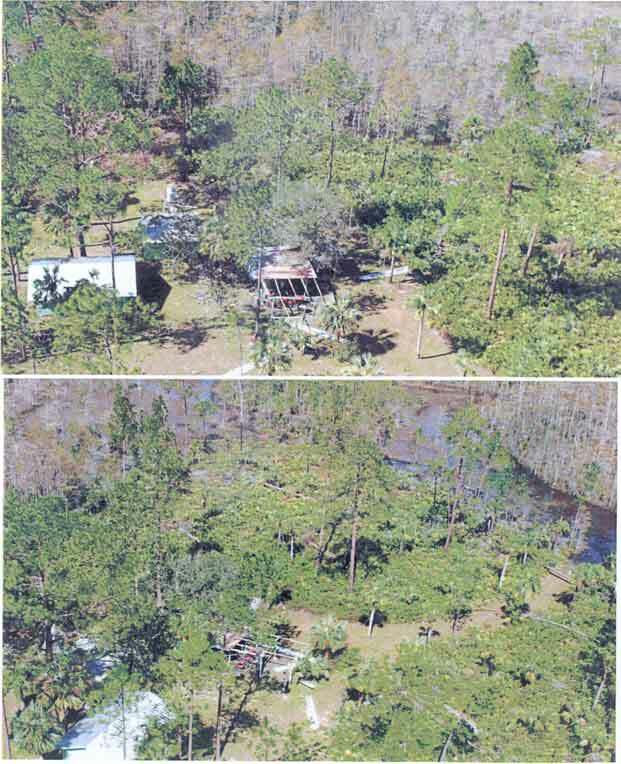 This brought me to wondering what the NPS knows about the hurricane damage and the structures that are on the exempt property. 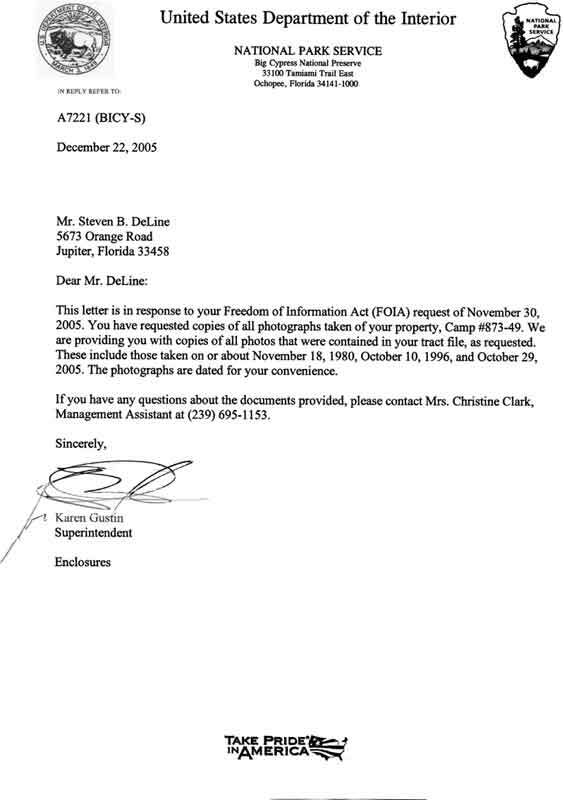 I made a Freedom Of Information Act (FOIA) request of the NPS, requesting all photographs they had in their possession regarding the exempt property know as Six Pack. 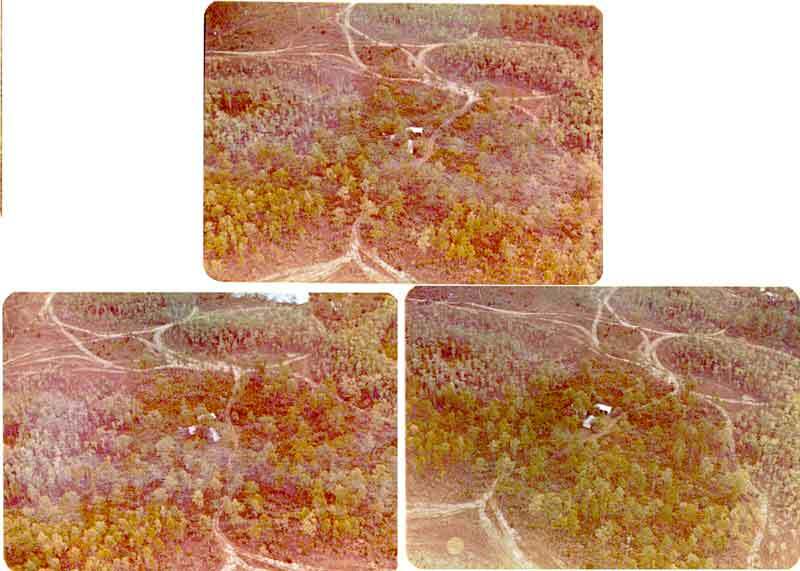 1) This set of pictures are NPS aerial photos of hurricane Wilma Damage at Camp Six Pack. I had requested the NPS to take a look at my camp if they were in the area. 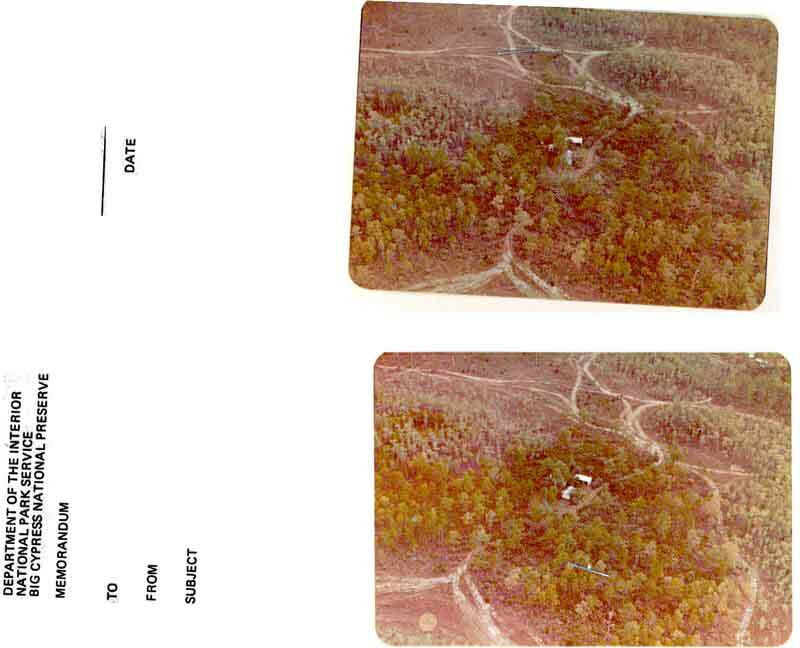 They said they would, and via a follow up call, I was informed they had looked at the camp, taken pictures and copies would be sent to me. 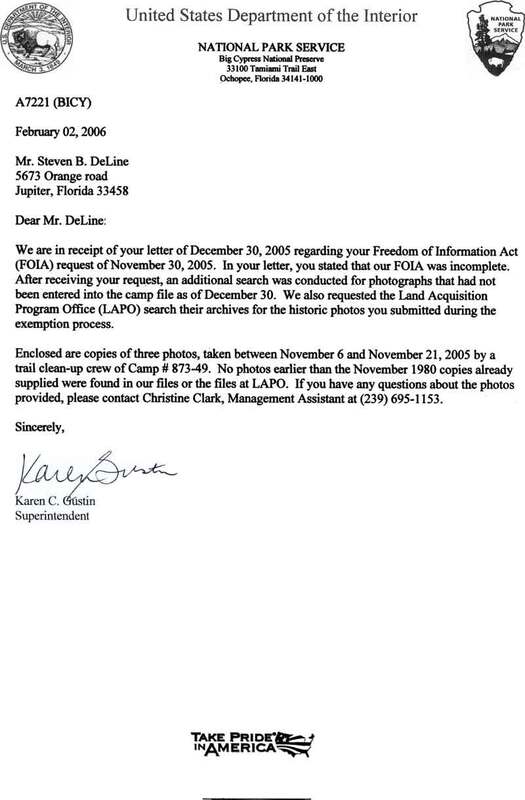 The pictures were never sent to me until the FOIA request, but they were put in the tract file. 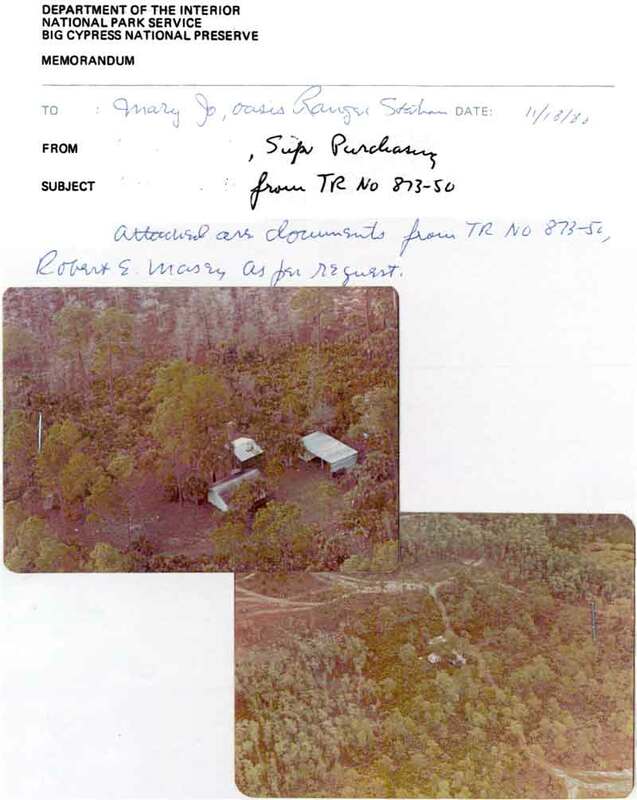 They had also stated to me that they had taken pictures of other camps. 3) This set of pictures, taken on October 10, 1996, are the most disturbing set to me. 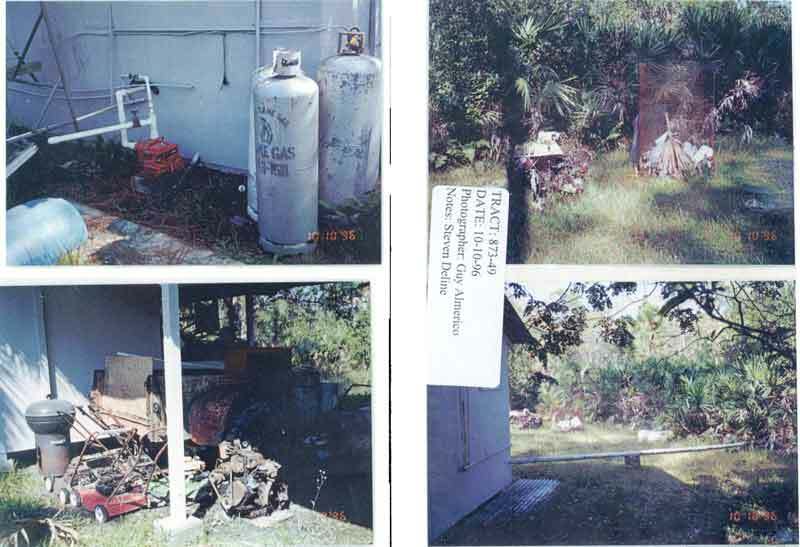 The were taken from the ground, by NPS personnel that were trespassing on private camp Six Pack property. 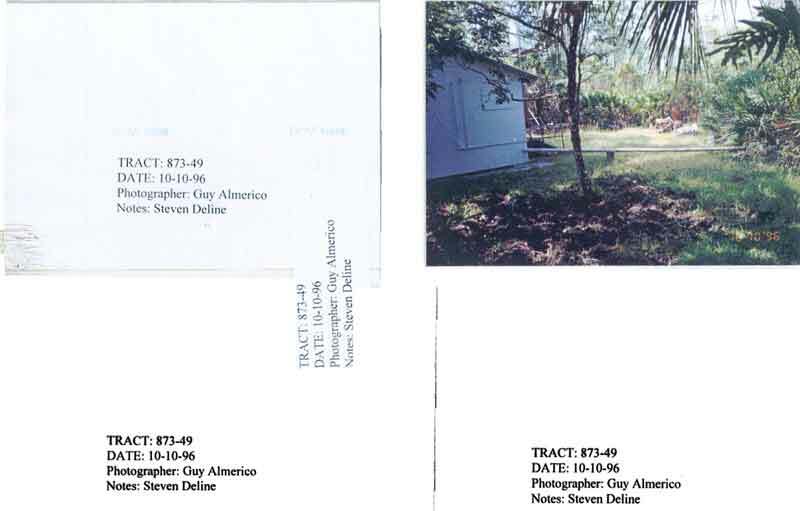 Additionally the pictures are obviously intended to be evidence, because of the organized labeling of the pictures and identification of location, who took the pictures and the date. Pictures of the structures are taken from every direction, obviously documenting them. The NPS personnel opened up the generator building, which in one picture is shown closed, as we normally leave it. 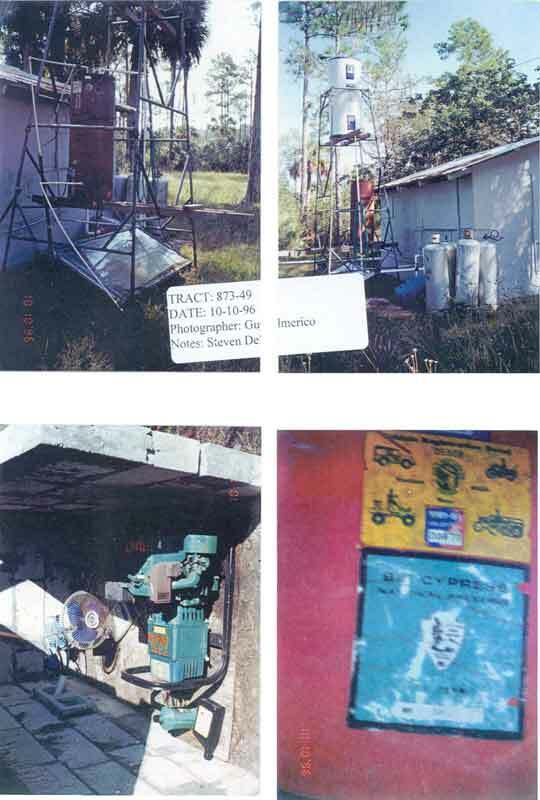 In another picture, the generator building is open with a picture taken of the contents. So not only were they trespassing, but they entered a building that was closed up. 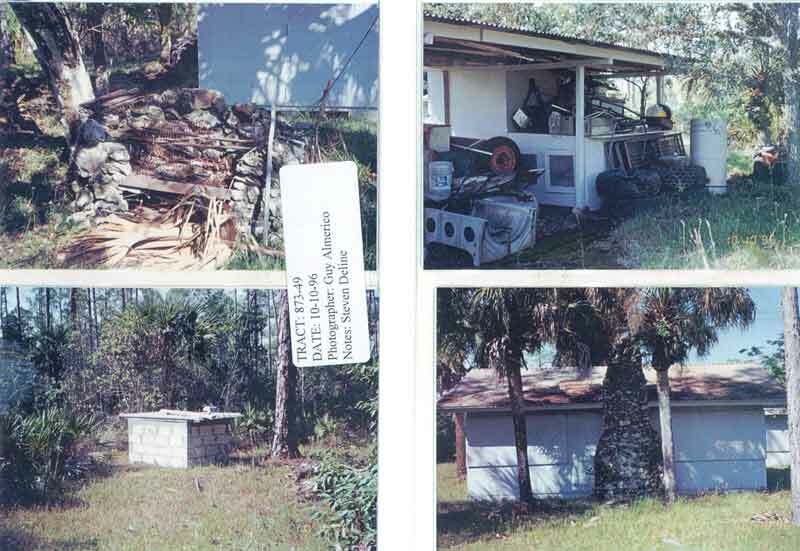 They may have entered the other buildings, but the provided pictures do not indicate that. In another picture, you can see a NPS ORV permit sticker, along with a State of Florida ORV permit sticker. These expired stickers were lying among the spare ORV parts and camp materials at the buggy stall building. To find these stickers, the NPS personnel would need to physically go through the stored material at that building. 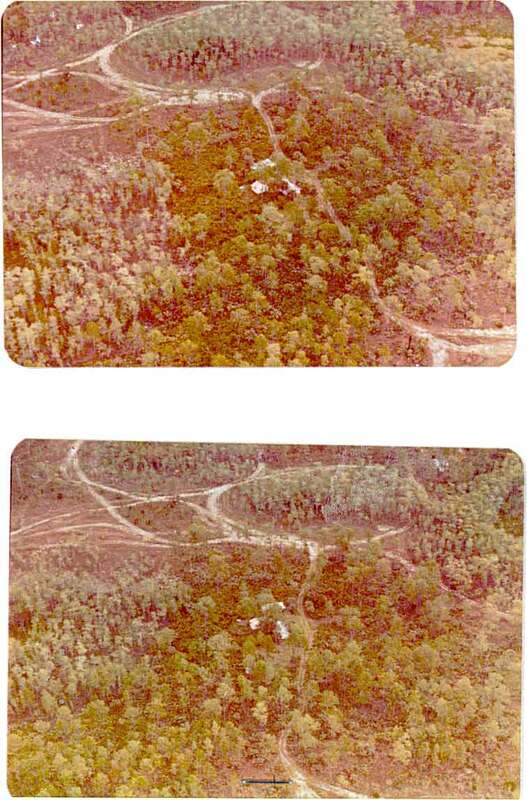 The NPS has not heard the end of discussion about this set of pictures! What does this mean to other Exempt property owners? 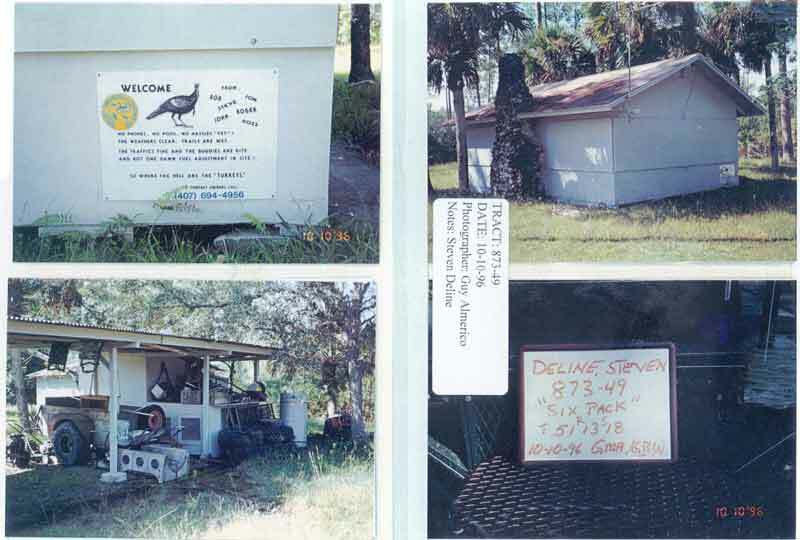 It is obvious to me, that the 1996 pictures were an organized documentation of ALL the exempt properties in the Big Cypress National Preserve. 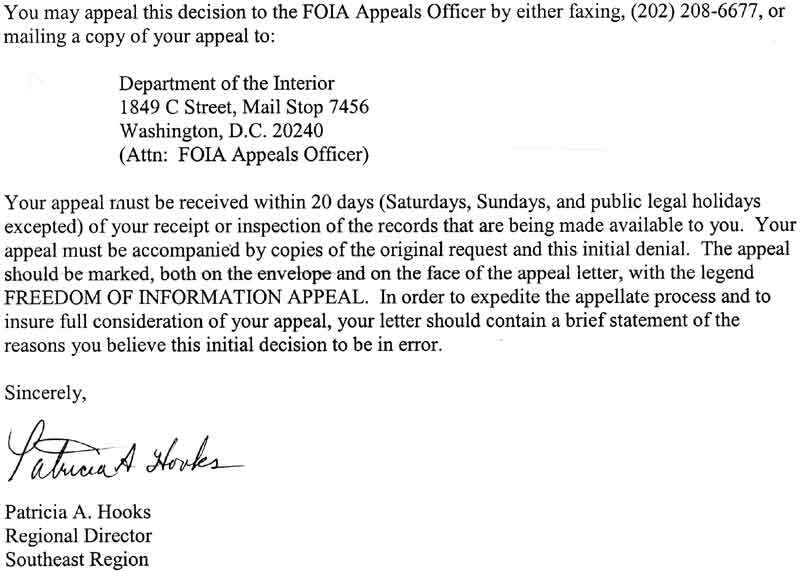 If you want to find out about your own exempt property, I would encourage you to make your own FOIA request. 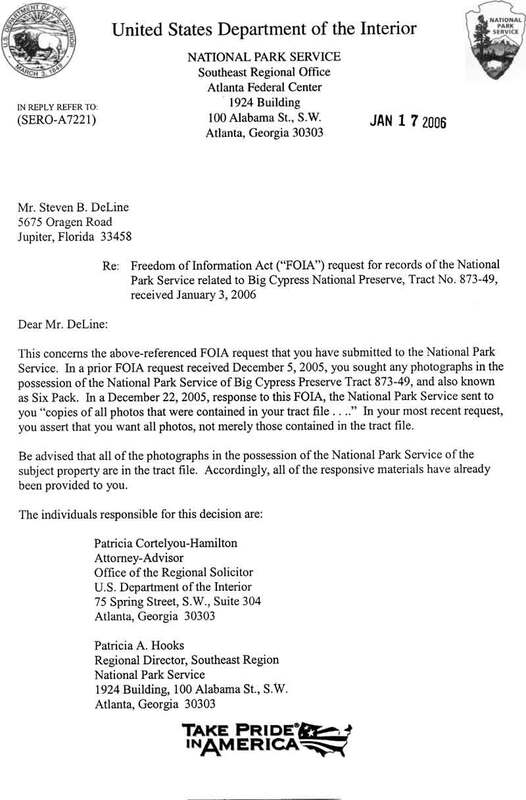 I had sent a reply letter back to the NPS stating that I believed they had additional pictures that had not been included in the original response letter to the FOIA request. Why did I think this, because they had been witnessed taking the pictures and I told them so, in the letter.